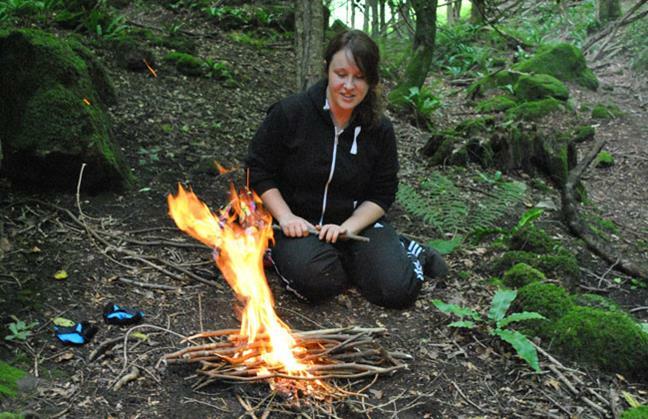 Survival Training and Buscraft in the Wye Valley, Forest of Dean and Herefordshire. 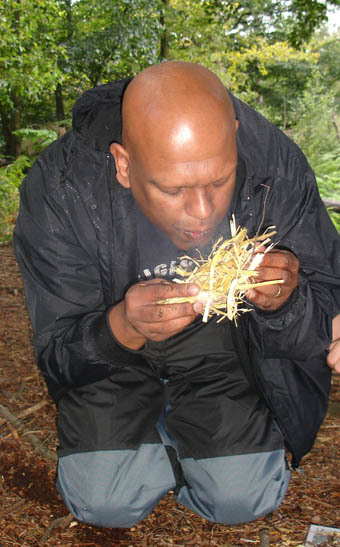 Learn survival training and bushcraft skills in The Forest of Dean and be like Ray Mears in our fantastic venues. 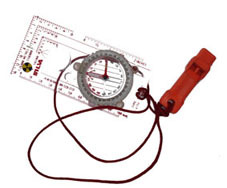 Here you can practice survival training and buschraft skills from beginners to advanced. 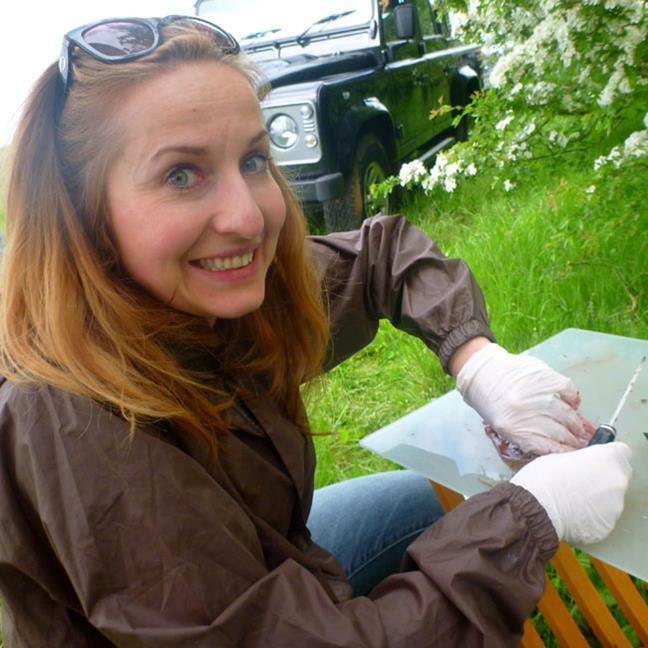 There are numerous habitats, tree species, plants and fungi here in Gloucestershire, Monmouthshire and Herefordshire, and you can learn and try out all the techniques necessary to not only survive but to live reasonably comfortably in the wild. 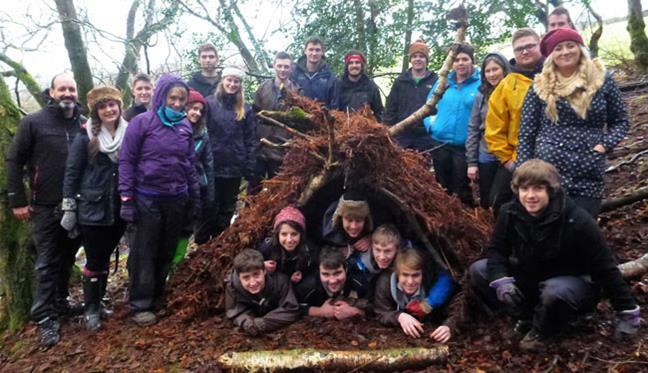 Survival training is a fantastic day out for youngsters and adults alike. If you are a large group, a business team or just want some competition, then we can run our Survival Challenge where you learn and practice all the survival skills while competing as a team. 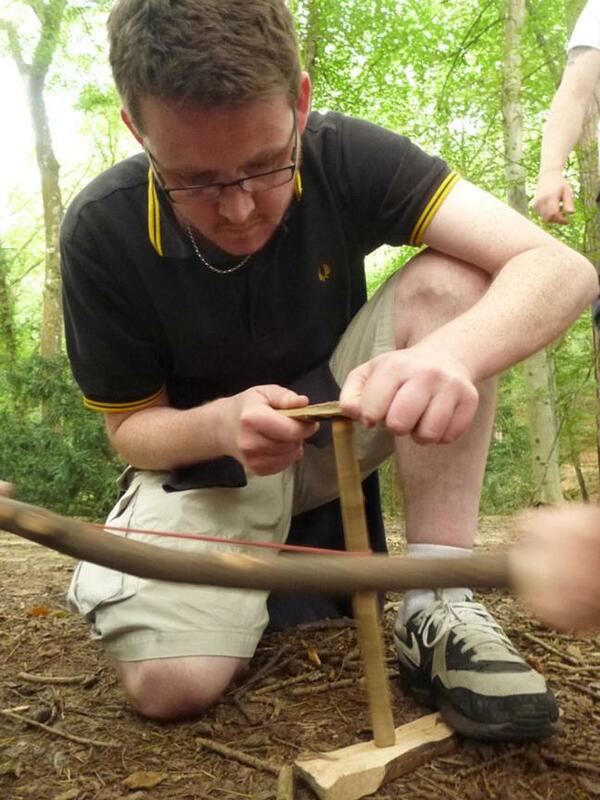 Survival training and Survival Challenge takes place in the woodlands of The Forest of Dean, Gloucestershire and Herefordshire or we can run a session at a suitable wood near you. Our survival training and bushcraft sessions can be tailored to suit any group, so whether you are searching for corporate outdoor activities for your company, something exciting for a group of friends to do, an activity that all the family could engage in, or just want something to suit a Hen Party or Stag Party, then we can provide something really different to suit everyone. 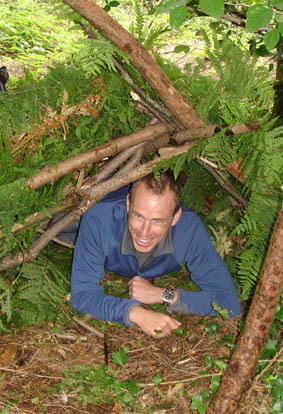 If our survival training and buschcraft is not competitive enough or you want your team to do something completely different then we can organise our Survival Challenge instead which is not only a competitive fun session but you also have to learn and then teach survival and bushcraft skills to your team mates in order to succeed. Both activities are suitable for any age or ability. During the survival training, bushcraft and Team Challenge sessions we will be taking photos and videos of you and your party. We will then send you all the pictures so that you can relive those moments again and again. If you want to bring your own cameras or camcorders you can do so but it will be entirely at your own risk. 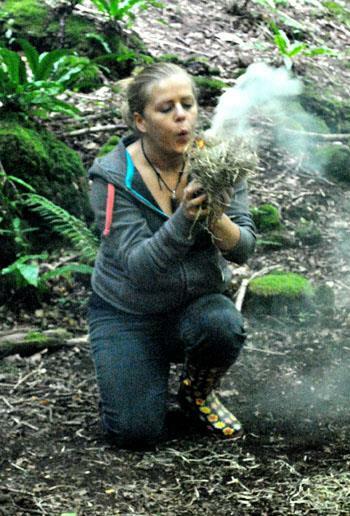 Don't forget, you can do our survival training, bushcraft and Survival Challenge at any time of the year and it is perfectly suited for an outdoor session in the colder wetter months of the year and it is just as fun. We had an amazing time on our survival traning sessioin on Saturday and thank you for your help and endless patience. Thanks also for the photographs and for an excellent experience the feedback from the whole group was unanimously positive and everybody had a great time. 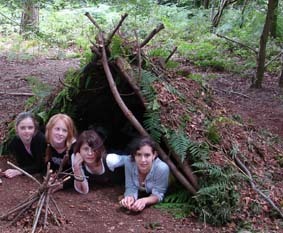 Thank you for curating a fantastic bushcraft experience in the Forest of Dean. This was an enjoyable and memorable experience for all 14 who partook and none of us would hesitate to recommend your services to others. Your knowledgeable and approachable style helped the group relax, learn and enjoy. All the best for the future success of Life Changing Activities. Hi Michael thanks so much for last weekend we all had such a great time and know that its something that we won't forget, not to mention the smell of rabbit and woodsmoke on our hands for hours afterwards! I would just like to thank you for helping to organise an excellent weekend. A special thanks to Al who has quite some general knowledge and also had to put up with our drunken ramblings for the whole of Saturday night! Michael and the team at Life Changing Activities designed a bespoke 'Survival' event for my team and I and we found it to be really valuable and enjoyable. The design, preparation and ultimately the day were run very professionally and Michael and the team enabled everyone to feel relaxed and get the most out of the team building experience. I would happily recommend them. Everyone had an excellent time both climbing and doing the survival training. It was a real joy to spend the whole day out of doors for a change. Thanks for the rabbits. We really enjoyed them on Saturday night. Huge thanks from all the guys who attended the weekend. Nic (The Stag) said it was absolutely perfect and just what he had hoped for. All the guys at life changing activities were excellent, relaxed and good fun. Everyone appreciated the time and effort you put in and have gone away with good memories. Also thanks for organising the weather for us. Thanks so much for organising such an enjoyable survival training session for our stag group. Your outdoor instructors were spot on with their combination of banter and instruction and we all had a fantastic time. Thanks again. Looking forward to the photos. I wanted to say thanks so much for the Survival Training Day, we all had an amazing time and our fire lighting and game preparation skills has us all laughing for ages after in the pub. I will definately pass on your details to the school where I work as I am sure that they will want to book you as well. I would just like to thank you and Jeff for making our Hen Party celebration such a success. The Survival Training got everyone working (and laughing) together, it was the perfect icebreaker and everyone just loved it. 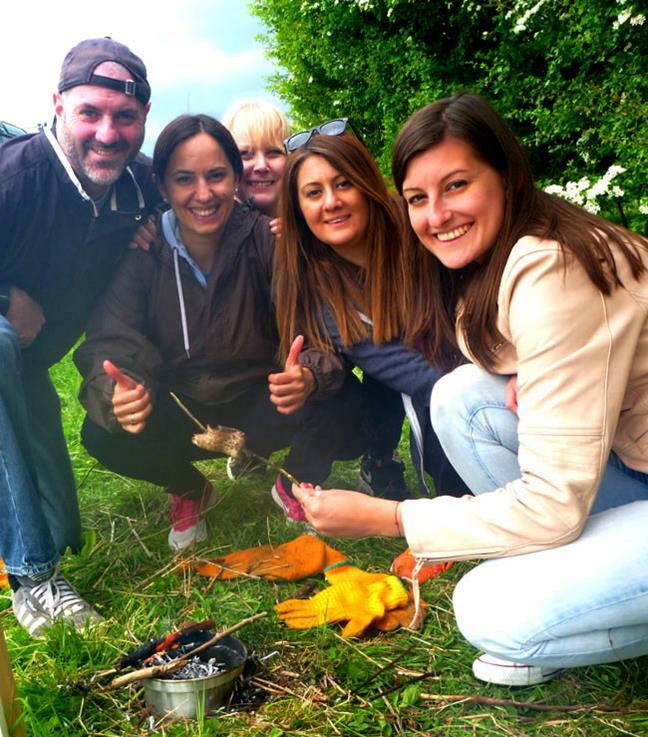 Michael and the team at Life Changing Activities designed a bespoke 'Survival Challenge' event for my team and I, and we found it to be really valuable and enjoyable. The design, preparation and ultimately the day were run very professionally and Michael and the team enabled everyone to feel relaxed and get the most out of the team building experience.